Now AP state electricity bill online payment in mobile phone also. APSPDCL Launched android app to pay your power bill (electricity bill) through your android smart mobile phone. For paying ap state current bills you need to register with your mobile number in apspdcl android application. APSPDCL Power bill Payment if free of cost you don’t need to pay at least 1 rupee for downloading southern power distribution company android app. How to download apspdcl electricity bill pay APP? 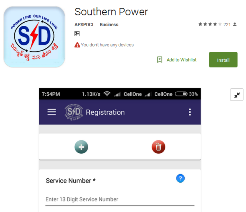 What is The Options & Features in Southern power android app? You can give feedback also. Like these so many features are inbuilt in this app.